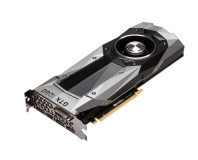 High-end GPUs are always where you see the most interesting features and cooling solutions; at the lower end it's all about price performance and such things can often be too extravagant and even push a certain SKU into the price bracket of the GPU above it in the stack. This was essentially what happened with the Gigabyte GTX 950 Xtreme Gaming; a fine card in many regards but too close to the GTX 960 in price. 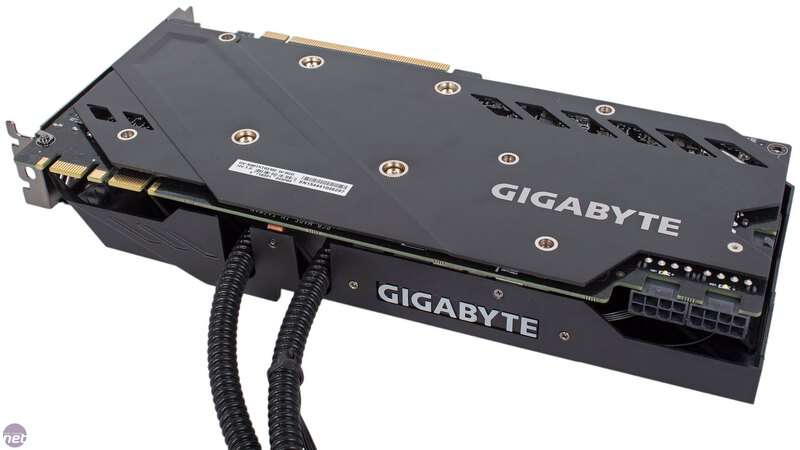 Obviously, that's not going to be the case with this card as the GTX 980 Ti is essentially the fastest card out there – there's currently nothing above it in the stack, unless you insist on counting the Titan X.
Xtreme Gaming is Gigabyte's latest top-of-the-range series of graphics cards, which means a number of things. 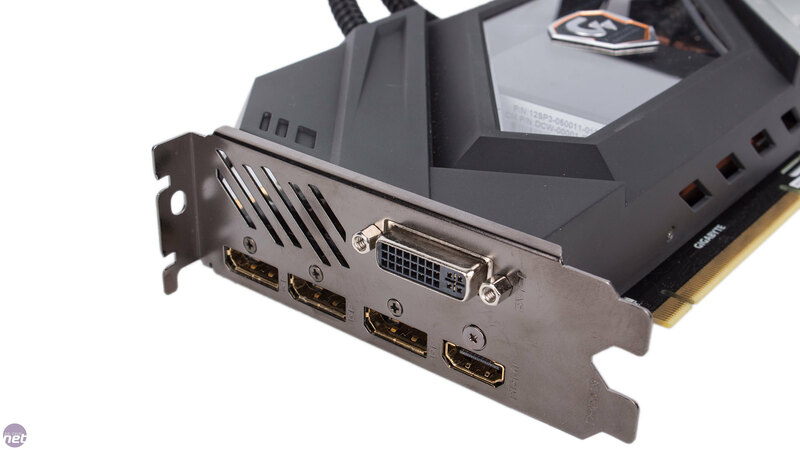 Firstly, it ships out of the box with a pretty hefty overclock of almost 22 percent. The base clock is set to 1,216MHz, giving it a 1,317MHz boost clock. 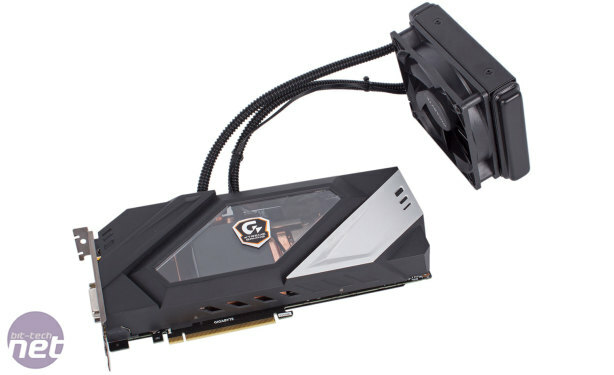 This makes it the joint fastest GTX 980 Ti we've seen as it matches the Asus GTX 980 Ti Strix. There is a small selection of even faster cards on the market, but this card will be mighty fast nonetheless. 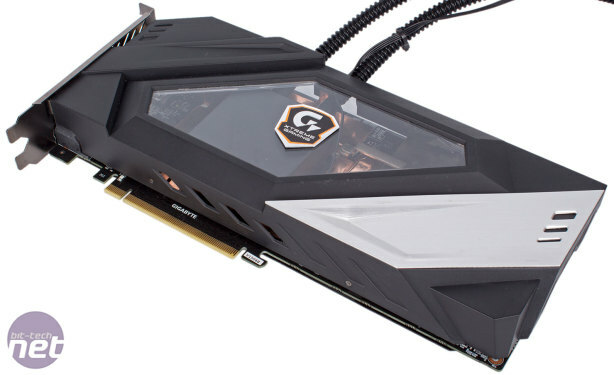 Gigabyte uses its GPU Gauntlet binning process for this card, selecting only GPUs which pass certain standards, though what these standards are is sadly not discussed. It's also great to see that Gigabyte hasn't neglected the memory, bumping it by 3 percent to 7.2GHz effective. This is of course a much more modest increase compared to the core clock, but it's better than nothing given the price and premium branding. Another component of the Xtreme Gaming makeover is the custom cooler that, as you can see, clearly isn't your standard affair. 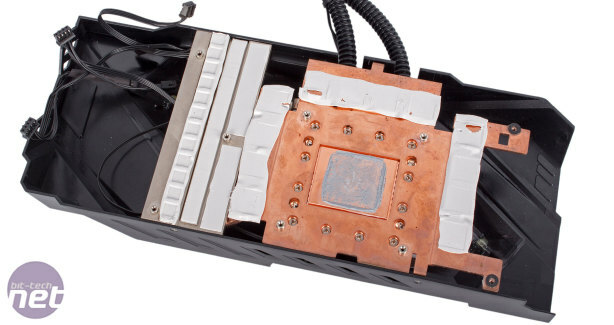 This Waterforce card is so-called because it uses an all-in-one liquid cooler, and it's a neat solution as its full cover waterblock means that the memory chips and GPU power phases are all directly cooled in this way, not just the GPU, which negates the need for a secondary blower fan on the card itself. This means virtually all the card's heat (i.e. other than that which radiates off of the backplate) will be efficiently exhausted out of your case. 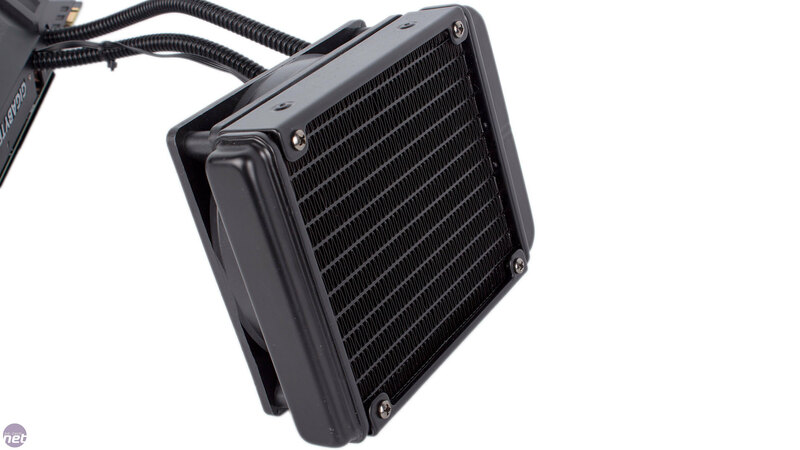 It also uses a slimline 120mm radiator and single, standard 120mm fan, giving it maximum case compatibility. 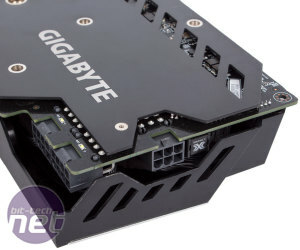 Note that Gigabyte does produce an air-cooled version of this card (i.e. Windforce), which retails for £30 to £50 less depending on where you shop. 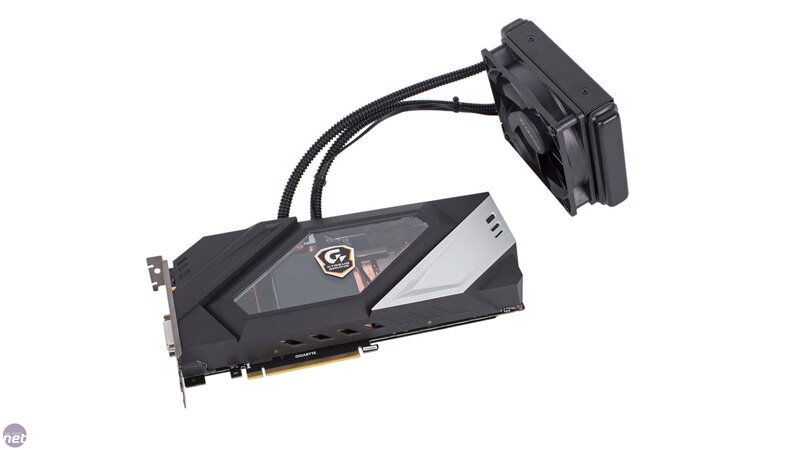 That said, we've seen very good overclocking results when water-cooling the GTX 980 Ti GPU, as the Asus Poseidon card showed us, so hopefully the same is true of this card. 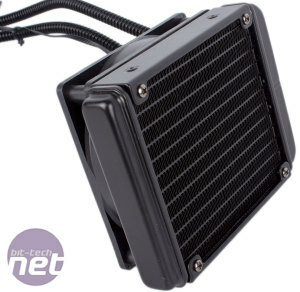 Despite an impressive cooling solution, the build quality of the card leaves something to be desired. There are some positives, however: we love the thick, solid metal backplate, for example, and the front window is a nice touch too. However, the main shroud is hewn from plastic which results in a look and feel below what we'd expect from a card this costly. 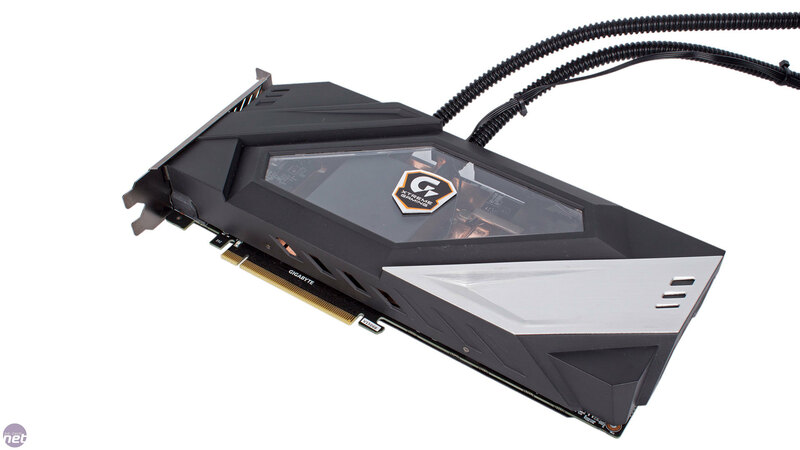 We also tend to prefer the look of rubber tubing over the thin FEP type Gigabyte has used here, though this is, of course, subjective and Gigabyte claims the material has better thermal stability, pressure tolerance and durability than rubber. 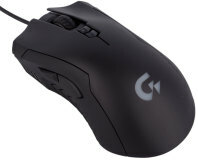 One means of jazzing up the looks is the Gigabyte logo along the top, which is backlit by an RGB LED that you can control the colour of in the OC Guru II software, as well as applying a few different effects to it. The inside of the card also lights up, and settings are saved to the card and thus work without the software once applied. 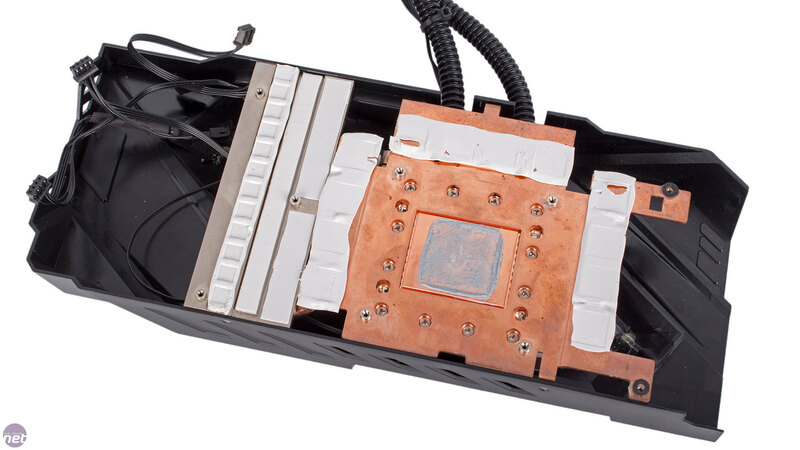 The last aspect of Xtreme Gaming to discuss is the custom PCB, which is the same on both the air and water-cooled versions. We'll start with the power connectors. For standard use, these have been upgraded to a dual 8-pin solution. There are also individual LEDs next to the connectors which flash in case your PCI-E voltage becomes unstable. 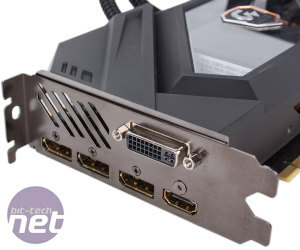 This card is also built to tolerate LN2 cooling, and for such users there's an extra 6-pin PCI-E input on the side to give additional power when using massive clocks and voltages. Next to this is a dedicated LN2 BIOS switch, which lowers the factory clock speeds and is designed to combat cold bugging. Power is then fed through a large 12+2 phase power design, meaning the GPU power phases have been doubled compared to the stock design. 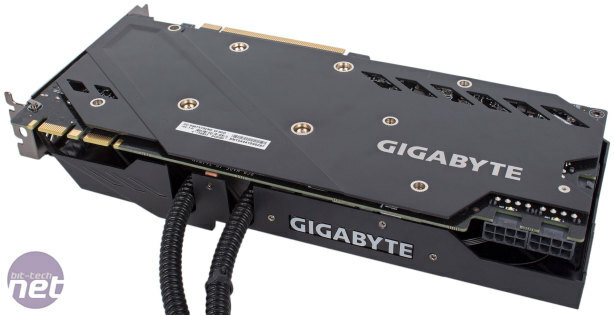 Furthermore, like most custom Gigabyte cards, this one uses Gigabyte's Ultra Durable VGA components, including the same grade of chokes and capacitors used on the GTX Titan X. Gigabyte also says that every single card is now checked for coil whine before being released to retail, so this shouldn't be an issue that any customers run into. 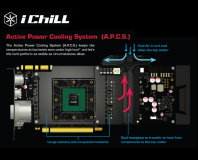 Examining the cooler's contact plate, we were pleased to see that all key elements of the GPU power phases are properly cooled – the MOSFETs, chokes and capacitors are all covered with thermal padding. It's a minor detail, but still one we appreciate. 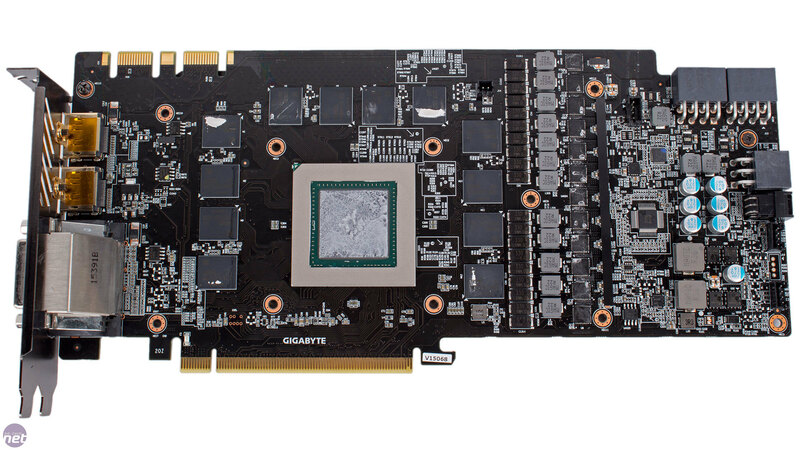 Similar to the Asus GTX 980 Ti Strix, Gigabyte is now using a fully automated PCB assembly process for extra consistency and reliability compared to hand-crafted designs. One element of this process is the aerospace-grade coating that is applied, making the PCB waterproof and protecting it against accidental spills and condensation. 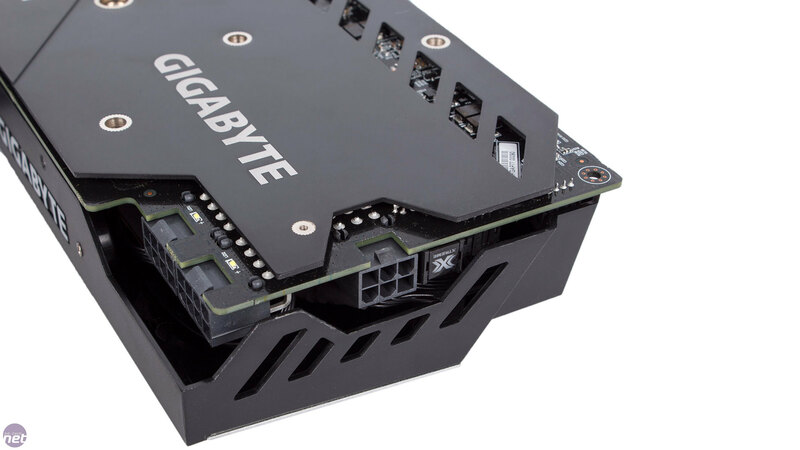 It's also dust and corrosion-resistant, with Gigabyte claiming that even a screw dropped on the PCB will not short-circuit the board.